Because I want to remember it all...: Perfect Day? I recently read a blog post about someone who posted a few things on Facebook that gave the impression of a perfect day. In reality, her day was far from perfect and it was a comical account of what really went down that day. Along with the aforementioned blog post that I read, these pictures also had me thinking about this very issue. Because don't we look happy? Doesn't this look like a fun day with a super hands on mom? 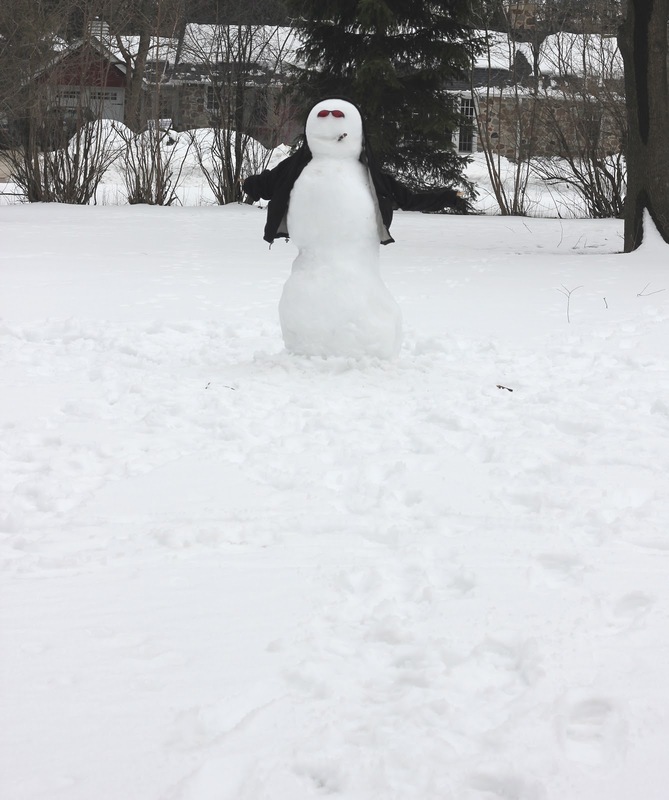 Well first of all, this was the first snowman we've ever made (sad that I feel so guilty admitting that like I'm going to be judged to high heaven for this). Second of all, he was such a big fat whiner before making the snowman that I told him he was ruining our fun. Third, I almost didn't finish it with him because he was complaining so much about the shape; I couldn't help that the snowballs were turning out like squares...this was my first rodeo in years, remember? Bryan, seeing my Simon-sized snowman, decided to try to one up me. He chose to focus on height and perfectly shaped snowballs for the body. Jerk. I think mine was better.